A yummy warm egg pie. 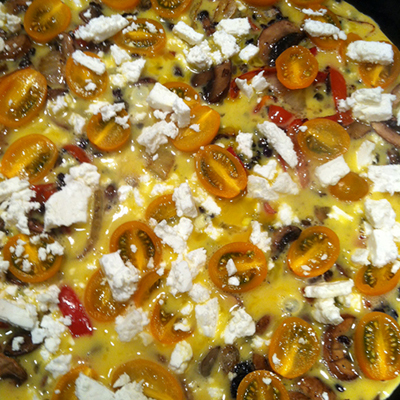 All a frittata really is, is a quiche without a crust. We have no preset ingredients – what ever is available works great. 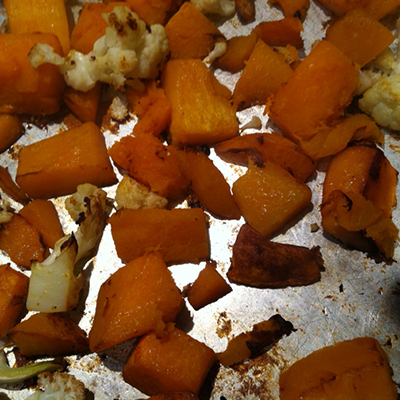 Let’s roast some vegetables – squash and cauliflower! 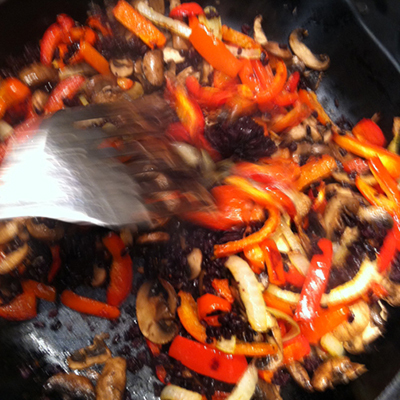 Sauté onion, pepper, mushrooms and leftover black rice in a skillet. Combine some of the yummy ingredients in the skillet along with the egg mixture (8 eggs and milk or even vegetable stock). 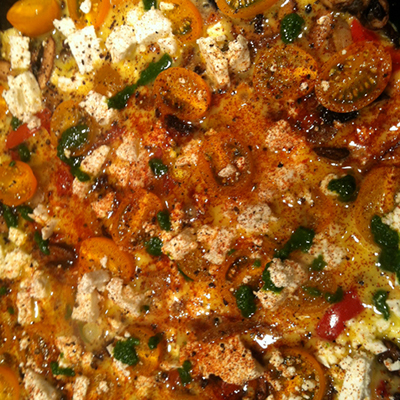 On top, we placed tomatoes, feta cheese and sprinkled with salt, pepper. 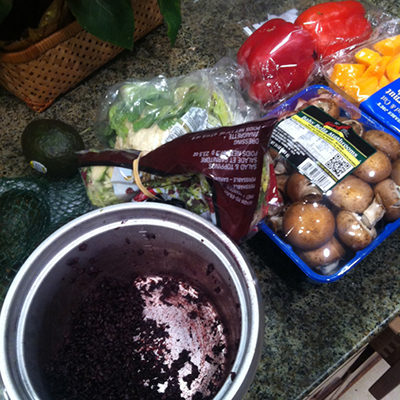 Let simmer on the stovetop until the edges are set. Before placing in oven, sprinkle a little sweet paprika on top! Then place in a 375 oven for 15 minutes! 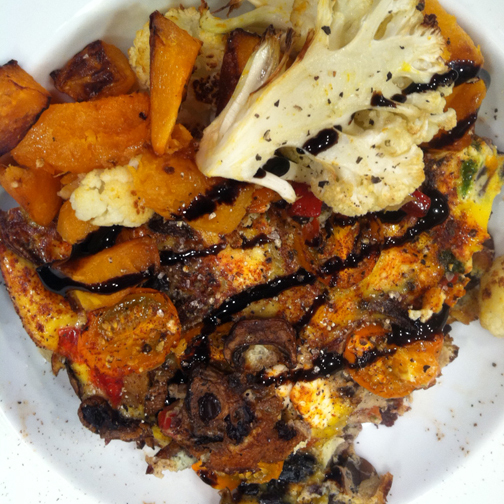 Serve the frittata with some of the roasted vegetables on the side and drizzle a little balsamic glaze on top. Eat.